I got 2 polishes from Copious for 0.87 cents!! How awesome is that.. 1 julep and 1 pure ice!.. Read on to find out how I got them both for less than a dollar as well as information on what Copious is about! It is basically like ebay sort of. You can sell products and/or buy them. There is no bidding.. just purchase it if you want it. I believe most/all of the products are new.. but it should say in the description. You can message the person if you have any questions. Some items will have free shipping others won't. They have a variety of items to fit every ones needs. There are some items that are really expensive.. but I stuck to the nail polish section.. they have some good deals. I joined Copious because I heard that when you first sign up, you get a 10$ credit in your account! 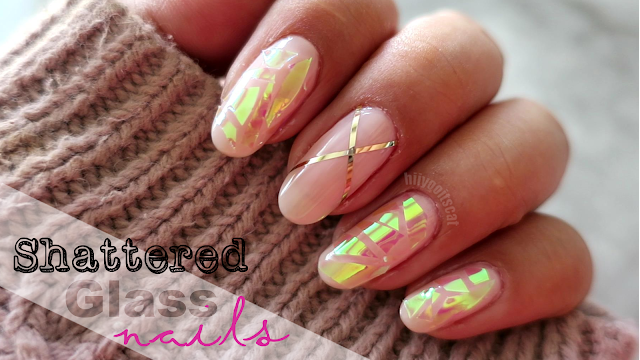 Which I did and was exactly what I used to get both nail polishes for under a dollar. Even though you get the 10$ credit.. if your total purchase is under 10$ including the copious fee (usually just a few cents) and shipping.. then they will just ask to charge your card 0.01 cent. I forgot what for.. but hey a penny is worth it lol. The credit does expire after a certain amount of time.. but they will send you a warning email to let you know when it will expire. Julep Nail Polish from Michelle-ritz-randall.. She is great to check out and follow if you like Julep nail polishes.. She lists them each for $5! Since the polish was $5.. I used my $10 credit.. with the $5, 0.29 cents copious fee.. it came out to $5.29 free shipping. So all I had to pay was a penny (like I said I forgot they reason for charging a penny)! Marisa is so pretty.. It's a deep blue with small green flecks of sparkle in the bottle. I also got a beautiful Pure Ice nail polish from BethChrisinger, she has listings of cloths, makeup and nail polish! The polish was I think $4.70-$5.. I used what was left of my credit.. with the price and copious fee/free shipping it turned out to be $5.57. After using my credit all I had to pay for 0.86 cents! Great deal right? Purple Reign is such a pretty color.. and it's right up my alley. It's a purple with goldish flecks of sparkle in it.. It really is a great shade. 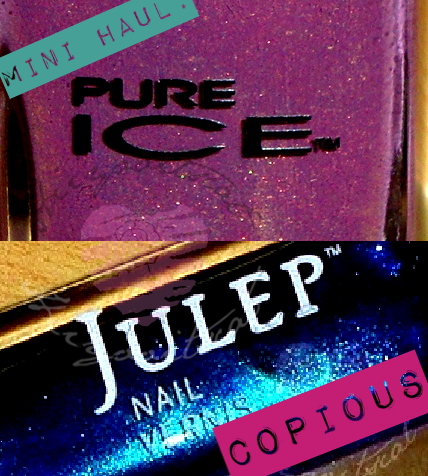 I think I got a steal for the Julep Polish for sure because originally they run for $14 each!! so to get one for $5 without the credit is still a great deal.. just being able to get it for a penny was an even better deal lol. Especially since im already a julep maven and cannot take advantage of the penny deal anymore lol! I am so happy with my purchases.. both ladies sent the items really fast.. I got them within 2-3 days. Copious sends you the confirmation and let's you know when they are shipped =).. Basically everything is done through copious. Definelty sign up and take advantage of the $10 credit.. and take look around. Ciao ciao for now! & Thank You for reading! Gorgeous colors!! Good finds, I'll have to sign up for that site sometime.